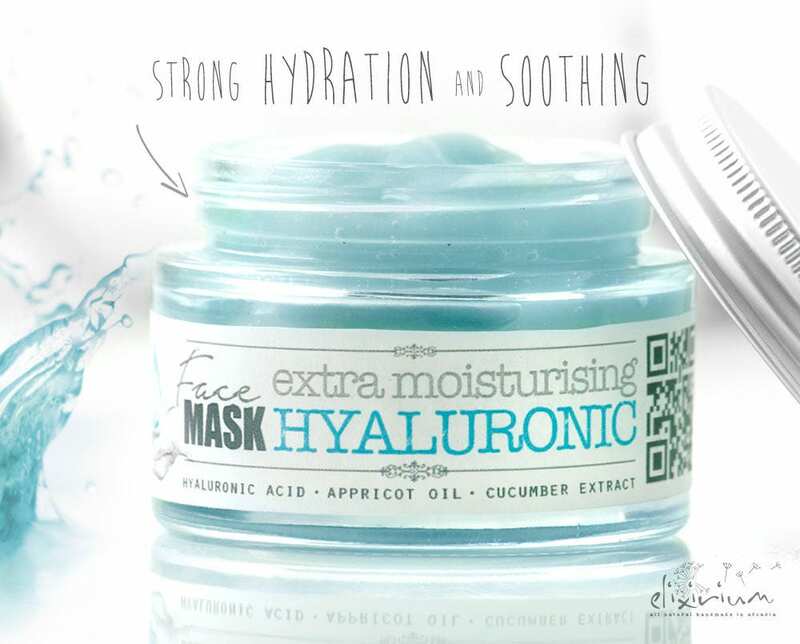 • Deep hydration, extra moisturising, skin soothing, organic facial mask. ► DETAILS : As we age, our skin loses the ability to preserve moisture, resulting in the visible loss of firmness, pliability, and plumpness. 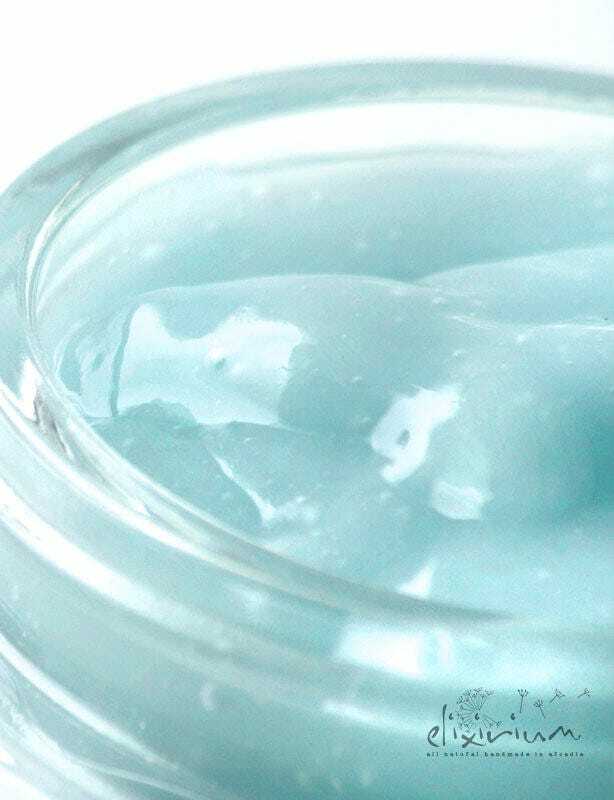 Hyaluronic acid swoops in with the ability to replenish moisture that is crucial to having younger-looking, supple skin. Aloe Vera is so well known for it's skin soothing, moisturising and age fighting properties and Appricot Kernel oil is so good in fighting inflammatory skin conditions, it moisturizes, firms and tones skin. 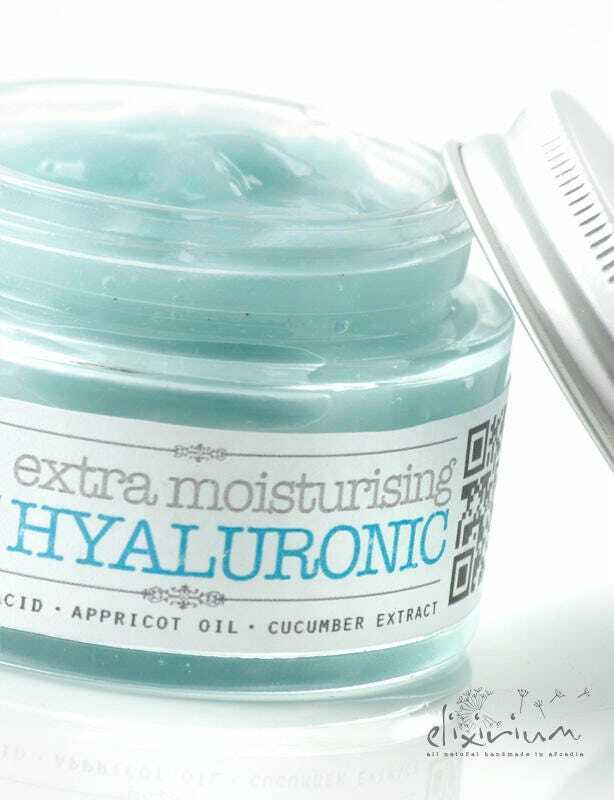 Cucumber extract improves complexion and tights skin pores. Elixirium's extra moisturising HYALURONIC FACE MASK is the next step in your facial treatment and it is suitable for all skin types. Using it 2 to 3 times every week will act like fresh water to a thirsty dessert for your face. After using the mask your skin will look and feel silky smooth, soothed, hydrated and healthy bright. The mask will continue to work and keep your skin moistured even 24h-48h later, until your next mask application due to the effects of the Hyaluronic acid absorbed through your pores. Definately an advanced, must-have weapon addition in your skincare beauty arsenal ! ► INSTRUCTIONS : Apply a layer of mask all over your face. Leave for 10-15 minutes to work. Rinse with luke warm water and proceed to your usual moisturizing routine. Apply 2-3 times per week. ♼ All elixirium masks come in environmental friendly packaging and premium, recyclable, glass jars. Please recycle after use. Makes your skin feel like silk! This is a great mask. Goes on easy, smells nice, and really wakes up my skin. Absolutely love this mask! Cleans skin effortlessly!